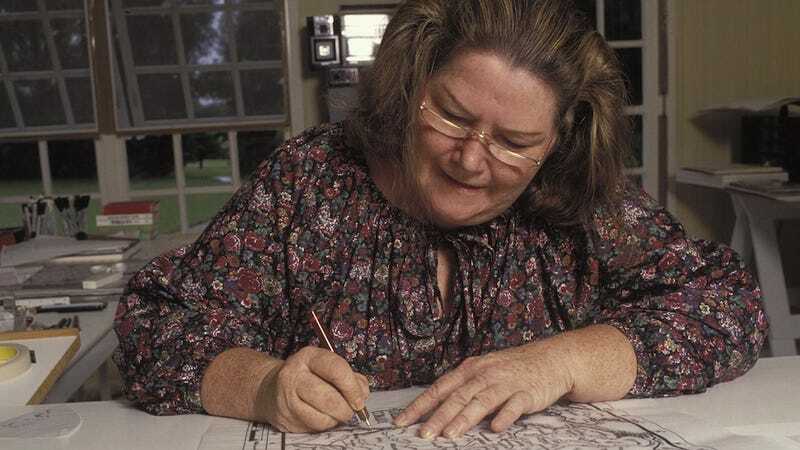 Author Colleen McCullough has died at 77. Her multi-part "Masters of Rome" saga has been much praised, but it's The Thorn Birds she'll be remembered for. If you haven't read The Thorn Birds, it is basically a thousand pages of unpleasant personalities and screwy family dynamics and people suffering and dying gruesomely, mostly in the Australian outback. In between casualties, redheaded Meggie Cleary and the much-older Father Ralph moon over one another. If it were your only acquaintance with Australian history, you'd think the continent was empty until the Irish showed up, and frankly in 2015 the relationship between Meggie and Ralph reads as deeply fucked-up. It is wildly compelling, the platonic ideal of the late-'70s beach-house paperback, one of the best-known popular novels of all time—and completely bonkers. If you ever fancy some pure, uncut '80s-era pop culture, spend a weekend goggling at the gazillion-hour 1983 miniseries, starring Richard Chamberlain and with appearances by Barbara Stanwyck and Christopher Plummer. Given its popularity stateside you'll learn something about America, but damned if I can put my finger on what, exactly.